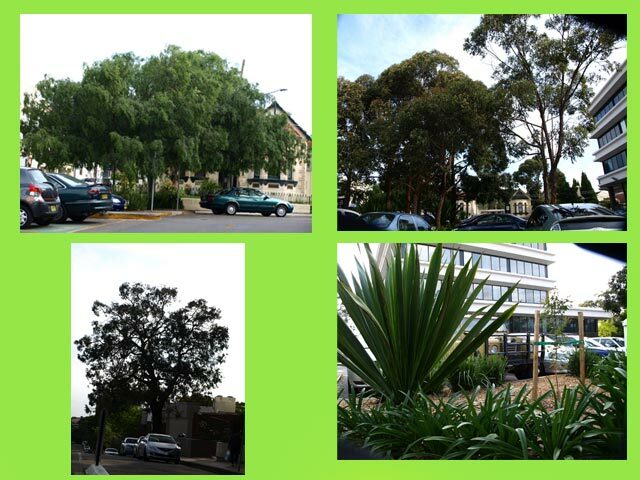 Marrickville Council is a great Council & they have created plenty of beautiful parks & streets in the Marrickville LGA. 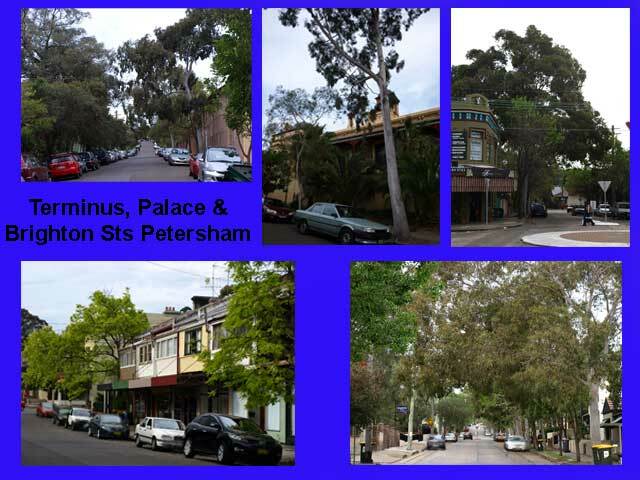 In the interest of balance, this page contains photos of areas where I think Marrickville Council has excelled. It would be great if more of our LGA could be like this. If you know of a street or street planting that merits positive comment, please e-mail me the location & a brief description. I counted 16 trees in Council's car park. I think it looks wonderful & wish all our car parks looked liked this one. When I drive in this area, I immediately feel the difference. There is many tall trees & a significant canopy. To me the area looks very beautiful. Recently, a vacant block of land at the SW corner of Old Canterbury Road and St John Street Lewisham was sold by the former Roads and Traffic Authority for development. This block has a impressive collection of native trees, perhaps 30 metres or more in height. It is now proposed that all of the trees on the site will be removed to allow the construction of 2 town houses. Don’t know if the development application has been finally determined but if anyone is interested in looking at the trees it might be a good idea not to delay.